The richness of Japan’s ceramic heritage has long captivated attention, contributing both to the development of European porcelains and art movements such as Japonisme. However, it is rare that we hear about the objects that travelled in the other direction, ceramics that made their way like coals to Newcastle from the factories of Europe to the dining tables of Japan. 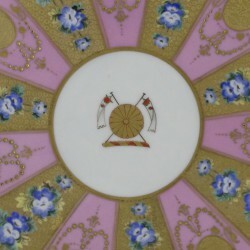 The appearance of a Japanese imperial crest on a Minton coffee cup, however, demands our attention. 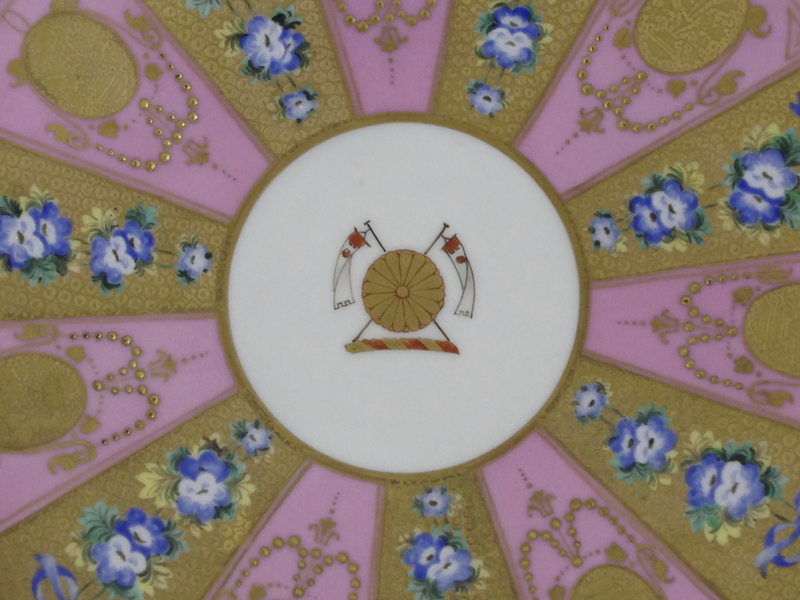 In the age of the international exhibition, where craft and nation intertwined, why might the Meiji Emperor have chosen to use British bone china? 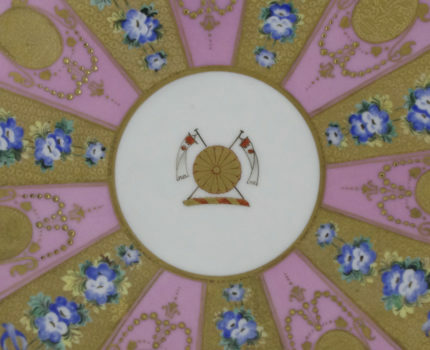 Considering these objects and the banquets at which they were used, this lecture will explore the strategies at play in the setting of the emperor’s table. Soon to submit her thesis on Japanese imperial tableware of the early Meiji era at the University of East Anglia, Mary Redfern has spent the last four years following the tracks and traces of tableware produced for the Meiji Emperor through archives and collections across Japan and Europe. Graduating with an MA in Archaeology from the University of Edinburgh and an MA in Museum Studies from the University of Leicester, Mary worked as Assistant Curator for East Asian collections at the Victoria and Albert Museum, the National Museum of Scotland and Bristol City Museum and Art Gallery before coming to Norwich to begin her doctoral studies. In October this year, Mary will return to the museum world as Curator for the East Asian Collections at the Chester Beatty Library in Dublin.